This Native American embroidery design has a flair with tow feathers hanging from a wooden stick. 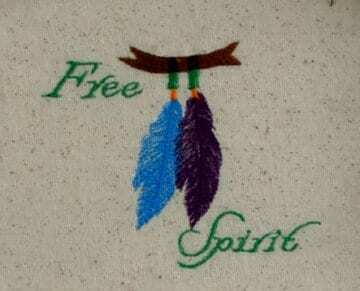 In addition the words “Free Spirit” embroidered at the top and bottom. Fits the 4×4 hoop.